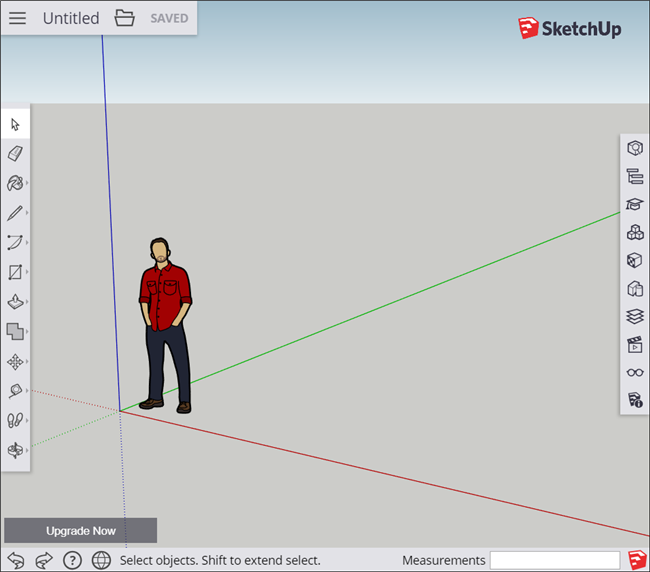 Main » News » What is Sketchup (and how do I use it)? SketchUp is an intuitive 3D modeling application that lets you create and edit 2D and 3D models with a patented push and pull. Method. Using the push and pull tool, designers can extrude any flat surface into 3D shapes. All you have to do is click on an object and drag it until you like what you see. SketchUp is a program for a wide range of 3D modeling projects such as architecture, interior design, landscape architecture and video game design, to name a few of its applications. The program includes features for drawing layouts, rendering surfaces, and supporting third-party plug-ins from the Extension Warehouse. The app has a wide range of applications, including in the worlds of architecture, interior design, landscaping and video game design. Sketchup is also successful for people who want to create, share, or download 3D models for use with 3D printers. Sketchup was created in 1999 by @Last Software. In 2006, Google acquired SketchUp after @Last Software created a plug-in for Google Earth that caught the interest of the technology giants. In 2012, Trimble Navigation (now Trimble Inc.) acquired Sketchup from Google and expanded the app by launching a new website that hosts plugins and extensions. What are the different versions of Sketchup? SketchUp Make: SketchUp Make is a freeware version that you can download after signing up for a free account. Make is free for personal, home and school use and starts with a free 30-day trial of SketchUp Pro. Although Make is no longer updated after the November 2017 release, you can still download the installer to use on your computer. SketchUp Pro: SketchUp Pro is the premium version of the software. It includes additional features such as the ability to import and export various file formats, access to 2D documentation software, layout tools, and a style builder that lets you create custom edge styles for models. 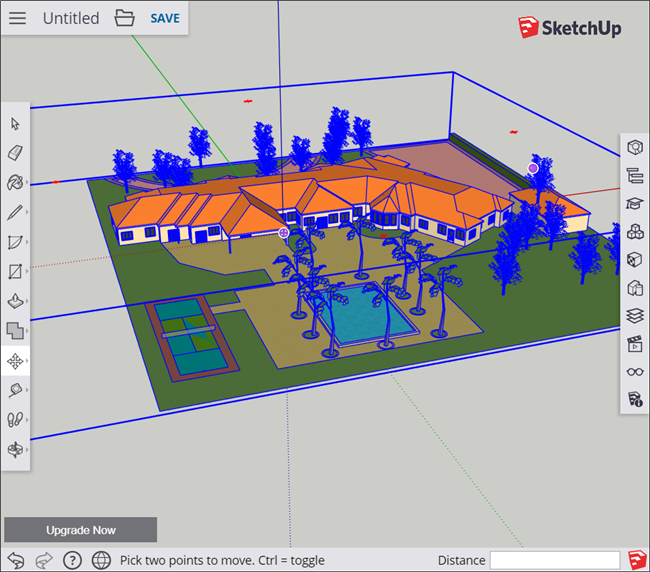 SketchUp Free: The successor to Make, SketchUp Free, was released in November 2017 as a web-based application. To use it, you must sign up for a free Timble ID with a valid email address. 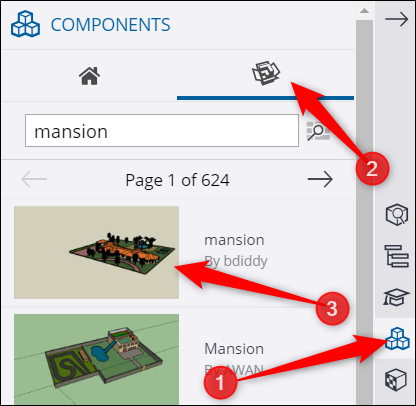 SketchUp Free does not have many Pro features, but if you only create 3D models for personal use (or search for something that can print on your 3D printer), this is a great place to start. Now you have SketchUp installed to start the search through the 3D Warehouse See and download pretty much everything that was ever created on the platform. 3D Warehouse is a database of user-created models that anyone can access. Just go to their website and start looking through the seemingly endless warehouse of models. I did not joke when I said that you can find pretty much anything here. They have everything from simple buildings to a whole medieval city! New York City This is just an eclectic selection, but you can find models that will help you with any project you have started. How do I use Sketchup? Once you register for a Timble ID and open the web-based desktop app, you can start with your first model. I will use the web-based application as this is the direction that Timble is going for free users, but the functionality between both versions is the same if you are a free subscriber. After opening the application, you will be greeted with your first model, Josh. Josh enjoys long walks in the mountains, football, kickball, disc golf and well ... any sport or backyard game out there. He's just a placeholder, and you can get rid of him if you want. Or let him around and enjoy his company. Click one of these three tools in the toolbar on the left to begin drawing your own model. You can use the pen to draw lines, the arc tool for creating arcs / circles, and the square tool for creating squares. If drawing is not your thing, then you can always go to the 3D Warehouse and import an existing model. Click the Objects button on the right toolbar. Button (three blocks) and then click on the 3D Gallery button at the top. Type the description of a model to search for, and then click the object you want to import. If you already have a model file on your computer, you can drag and drop it into the window for the same results. Depending on the size of the model, loading may take a while. After that you just have to position the object and you can work with it. 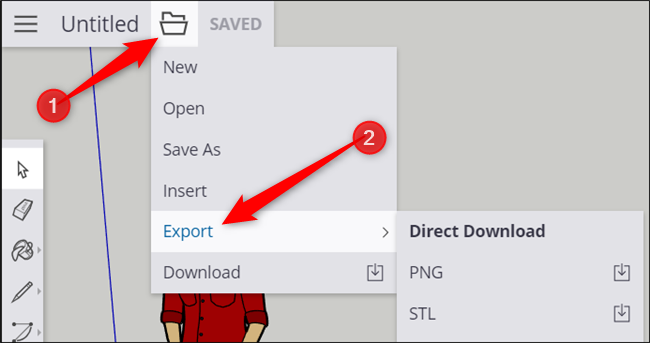 While the free version does not have some features, you can export any model to PNG or STL format by clicking on the folder. At the top of the window, click "Export," and then choose the format you prefer. Now that you have the basics and know what's in the warehouse, you can start working on your own models and upload them to everyone else.